In devotional literature and in the Tiru-murugarruppadai, the earliest account of His worship, six chosen spots in the Tamil land are referred to by Nakkirar as of more than ordinary sanctity for his worship, and thereby favoured by him. Tiruchendur occupies among them the second place in his order. Uncommonly enough, this temple is located on the seashore, while the rest of His temples are invariably located on high elevations as on hilltops.  The reason is that, in the physio-graphical five-fold division of the land by the Tamil grammarians, Murugan is assigned the Kuriñji or hill country. His shrines are always situated amid mountains and forests, for these regions are considered dear to him. The variance here is possibly due to Muruga's divine mission to free the Devas, and the vanquishment of Surapatuma and his mighty hosts in "Vîra-mahendram," their mid-ocean fortress nearby. As such, the puranas narrate that the Devas gained their deliverance and the Asuras His grace. Tradition and Śiva-rahasya Khanda in Skanda Puranam relate that at this spot Muruga encamped before and after the vanquishment of the asuras and worshipped Śiva at the shrine Mayan had built for Him. 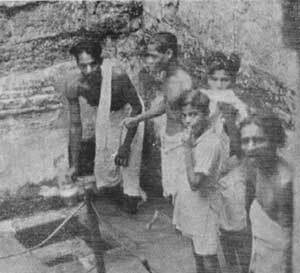 The Kanda-Madana-Parvata, the red sandstone rock of this coast, had worthily received its foundations. A lofty gopuram also rose beside it. A part of the cliff some fifty feet high was bored to form the holy sanctum of Subrahmanyam. The red sandy rock around about was further carved into, as well the rolling hills of sand moved away to gain more space. The second and third prakāras were then designed and brought into being. These have been further enlarged upon in the course of succeeding centuries, the earlier Śiva shrine in the meanwhile, having become more famous still for the worship of Subrahmanyam Himself. The Pandya and the Chera, their vassals, and other men of devotion further improved the temple. Maharaja Marthandavarma (1729-58 AD), the maker of modern Travancore, endowed the very first -- the Udaya-Marthanda Kattalai of each morning -- more than two centuries ago; and others followed in the nine arathanas of the day. As time rolled on, the effect of the sea and its salt-laden air began to tell upon the inferior sandstones used at the first instance in the original construction. It was now that a noble sannyasin, Mauna Swami, saw the stones in a state of disintegration. He almost immediately took up the renovation and was followed by two others. The work continued during the course of 72 years, and this noble edifice of three prakāras was reconstructed anew, in imperishable black granite, discarding every bit of the original white sandstone structure. The sannyasins were wedded to poverty, but nevertheless funds poured in to fulfill their life mission of constructing a worthy kovil (house-of-God) to stand for all times. 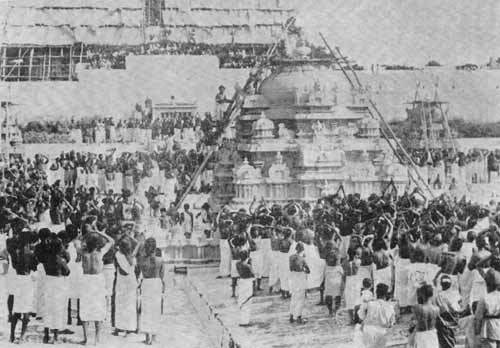 The temple was fully constructed anew in all its details, and Kumbhabhishekam performed in 1941. 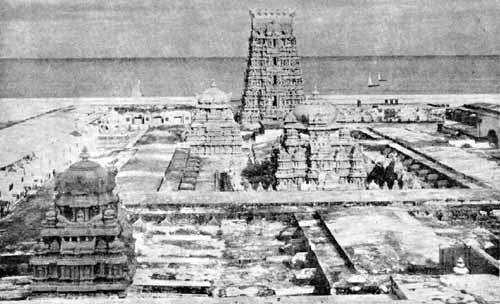 The temple and its gopuram of nine floors, built on the extremity of the sandstone cliff are a landmark, and visible at sea for twelve miles around, looking as has been said like a brig in full sail.